Your company’s need for speed, bandwidth, integrity & security of data transmission will lead to fiber optic cabling. 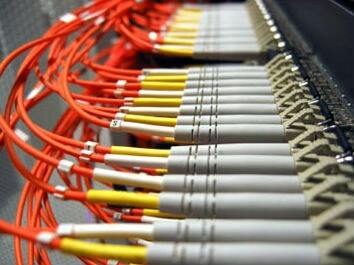 Fiber optics transmit a tremendous volume of data at the speed of light. Not long ago, Gigabit Ethernet was viewed as an paramount advance for the capability of a complete LAN. A gigabit-per-second was seen as a huge amount of data, more than enough for an entire LAN. At the time, virtually no application would need such an amount of information going to the individual desktop. Today, Gigabit Ethernet is being installed to individual network users. The focus then becomes, how do we supply the rest of the network with exponentially more bandwidth to accommodate the increased data traffic. Experience business at the speed of light. Given the incredible benefits, our team at Custom Cabling Service are huge fans and recommend fiber optic installations whenever feasible. The tremendous speed and capacity of fiber optic internet easily accommodates multiple users running data intensive applications. Invite us in early to collaborate with your architect and integrate fiber optic cabling into either existing or new buildings, and across common areas. Copper cable will never match the performance of Fiber. Fiber is the perfect choice for connecting multiple locations on a campus, extending data way past CAT5/6 tolerance lengths and when designing the backbone for a commercial building (connecting floors, or large groups to a central hub). 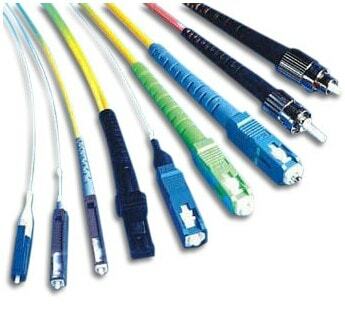 CAT5 & CAT6 are affected by electromagnetic interference caused by heavy machinery, high voltage currents or magnetic fields generated by large motors; fiber is not. Because fiber optic communications are based on the transmission of light, rather than electricity, data packets maintain their integrity over much longer distances. The glass-based cables don’t conduct electricity, so fiber optic conduits can be placed alongside electric lines with no compromise to data transmission. Grounding is not necessary, and the cabling is resistant to high-voltage electrical discharges from lightning and other sources. At Custom Cabling Services, we assess your needs and make sure you have the proper fiber (multi mode vs single mode), with the required transmission speeds and the proper terminations to ensure blazing speeds with solid reliability.